Malaysian National laureate probed over ‘seditious poem’. lama duka kita – demokrasi lara. National laureate A Samad Said today decried police investigations into his poem recital during a Bersih 2.0 event and said the authorities are now treating poetry as a weapon. Executive committee member Lokman Noor Adam claimed he led 600 Umno Youth members at 10.30 last night, blocking the street in front of the PKR headquarters as they chanted loudly in the night. He said the gathering of Selangor and Kuala Lumpur Umno Youth members was to “send a clear message to PKR that we are not afraid and we are ready to meet them even earlier. PKR secretary-general Saifuddin Nasution told The Malaysian Insider that 300 Umno Youth members, mostly on motorcycles, had travelled from as far as Shah Alam but were not stopped by police despite waving Umno flags. “They gave a speech outside, threatening that if the Bersih rally proceeds, they will harm Datuk Ambiga Sreenevasan and Datuk Seri Anwar Ibrahim,” he said, referring to the Bersih chief and PKR de facto leader respectively. “They also threatened to burn down our HQ,” the Machang MP said, adding that he had lodged a police report at the police station a few doors down. DO NOT WEAR YELLOW OR RED…. 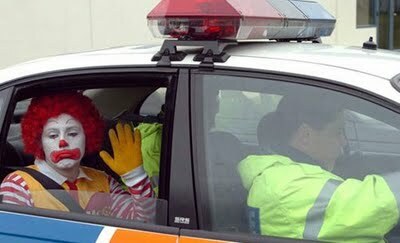 Malaysia will arrest anyone wearing Yellow & Red. Supporters are asked to wear yellow on June 25 and July 2, two Saturdays before the July 9 rally. The Coalition for Free and Fair Elections (Bersih 2.0) today urged its supporters to don yellow shirts on the two Saturdays leading up to the mammoth rally scheduled for July 9. In a widely circulated text message, Bersih 2.0 asked supporters to “paint the nation yellow” in a warm up to the rally in Kuala Lumpur to hand over a petition seeking royal intervention for electoral reform. “You need not assemble (on June 25 and July 2), but wherever you may be, put on your Bersih 2.0 t-shirt on those days,” the text message reads. With Bersih 2.0 T-shirts currently on sale, a PKR Youth member Razali Abdul Ghaffar was hauled up by police about half an hour yesterday to give his statement for selling the t-shirts. According to PKR Selangor information chief Shuhaimi Shafie, Razali was approached by police officers outside of a Pakatan Rakyat ceramah in Sungai Merab, Sepang. “He told me that police confiscated two T-shirts, took him to the police station and asked him where he got the T-shirts and who is he is selling it for. “He is just a small trader trying to make extra money. It appears that you cannot say the word Bersih any more, can’t use the word ‘yellow’, can’t wear or sell yellow T-shirts,” he said. Shuhaimi, who is also Sri Muda assemblyperson, added that an officer from the Sepang district police station asked him this morning to give a statement on the matter. “I will most likely give my statement tomorrow as I am not free today,” he said.When contacted, Razali said that the police took the T-shirts as “samples”. “The officers who approached me were in plainclothes and when I asked for their authorisation card, I noticed one of them still carried his civilian identity card,” he said of the incident which happened at about 10pm last night. He also admitted meeting Saiful Bukhari Azlan a few days before he (Saiful) lodged a police report against Anwar Ibrahim, accusing the PKR leader of sodomising him. “He came to my house because he needed my help because he was so traumatised. That was it,” Najib told reporters in Parliament. He added that there was no conspiracy involved in the police report as being claimed by Anwar. Saiful a coffeeboy having access to Deputy Prime Minister Najib Abdul Razak home? what does that says? The Deputy Prime Minister Najib Abdul Razak giving advise to a traumatised person? Have this boy heard of Befrienders? Doctors or Friends? Why the Deputy Prime Minister? Why not the Prime Minister or his fiancee? Can you a normal guy walk into DPM’s home anytime? I am a journalist who has served the public interest, and sometimes the interest of my political masters by force of circumstances, for 3 years. I know my duties and the constraints of my environment. I won’t walk with you because I don’t need a bunch of holier-than-thou bloggers, who are nothing better than arm-chair activists, telling me what to do. School Of Blogging – SOB ? Someone cetak rompak SOB Nation blog’s name ? 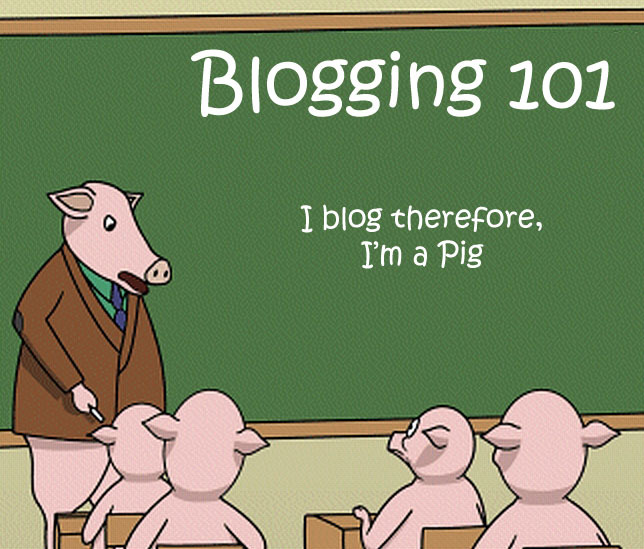 A school for blogging ? Wonder who’s the teacher? certianly not those that goes around so call training Government Dept heads and staffs. Outsource? to a new company which actually knows nothing much about blogging like the so called Lesbo linked Cybertroopers during elections. Someone will surely be making big mucho grande from this ‘cadangan’ and some ‘lawatan sambil belajar’ will be on the agenda not to mention some photos of lobbists showing thumbs up – BABI BLOGS anyone?